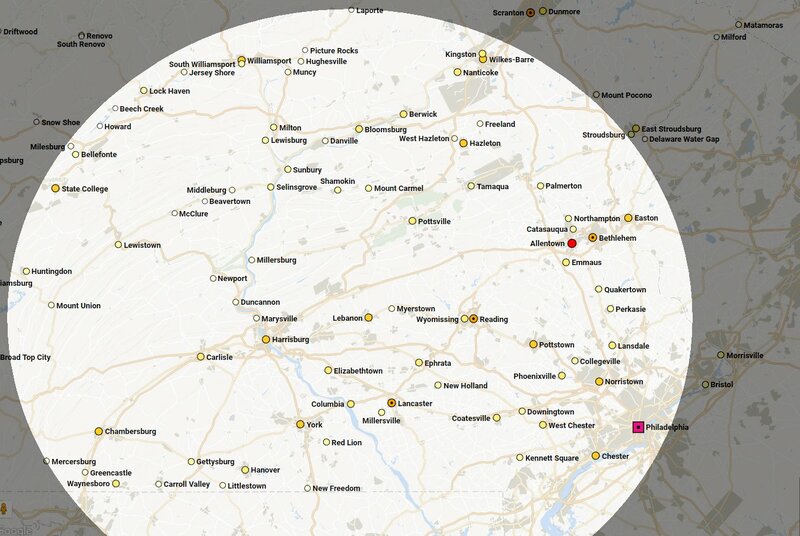 Since 1998, KIT Network Cabling has been providing successful premise communication system installations for business clients in the Central and Eastern Pennsylvania area. Our staff are client-focused, and known for going above and beyond. From the designs we recommend, to the care we take in installing them, to the support we provide post installation, we are dedicated to making sure we help our clients succeed. KIT Network Cabling is Structured Cabling Contractor, providing Cat6 and Cat5e cable installation services, as well as Fiber Optic Cabling installation and repair. Our Cat5e/Cat6 lines are all certified to EIA/TIA standards with level 3 certification testers by Fluke, our data center wiring is clean and organized, and we provide as-built drawings with port ID#s so you know where every station port is. Our cable installers are professional, knowledgeable, and focused on providing quality data cable installations. When seeking a low voltage cabling contractor in PA or NJ, give us a call. We offer high resolution security camera systems using HD IP cameras, both at the enterprise level systems for larger businesses, school districts and similiar organizations, and low-cost systems designed for small business. Our video security camera systems, at all levels, offer high resoution HD images at a great price, with the difference between levels being all about the Video Management Software (VMS), how well it handles larger deployments and how easliy video can be found and exported. We have vetted many of the the CCTV systems and security cameras on offer in the vast market place, and offer the equipment we have found to provide the best performance for the best price, all installed by our friendly and knowledgable security camera technicians. We are an Exacq Vision Elite Dealer, which allows us to deliver the best VMS in the indusutry for a great price and with great support. 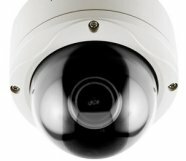 If you are looking for multiple competitive quotes for a security IP camera system, make sure to include a proposal from KIT. You'll be glad that you did. We offer installation and design services for enterprise wireless LAN systems. We can perform both active and passive wireless surveys for your site to determine either how your existing system is performing now, or survey how your proposed access points will perform once deployed. We are a Ruckus Wireless Partner, and offer the full line of enterprise level centrally controlled wireless access point systems by Ruckus, Fortinet, Meru, and Cisco Meraki. Do you want to save the expense of a full blown pre-installation wireless survey? Send us your floor plans and let us use our predictive software to provide a Wireless LAN proposal and an estimated performance heatmap for your facility or campus. Our IP Based door access security systems by Paxton Access provide reliable door security and flexilbe scheduling with an easy to use intuitive interface. Enrollment readers make it quick and painless to enroll new keyfobs or cards, or to identify what user a particular token (fob or card) is assinged to. Our door access control systems also integrate with Exacq video security, providing quick access to video relating to particular door entries, directly from the door security software. Our door access systems are reliable, robust, and affordable. As a silver partner with Fortinet, we are proud to offer and install the FortiVoice VoIP PBX Busines Phone System that offers reliable performance, all of the business class phone system features you expect, all at a much lower cost with their license free pricing model. The combination of the affordable IP PBX Phone system by Fortinet with our quality cabling and installation services, deliver the best turn-key IP PBX phone system for the best price. KIT Communications now offers enterprise class cloud hosted PBX business phone service. Our affordable cloud hosted PBX phone service for business is fully hosted in our secure data centers, requireing no major capital expenses up front. Our hosted business phone system service is scalable, customizable and reliable. KIT designs and installs mass notification, overhead intercom paging speaker systems. We will help you determine what type, and how many overhead speakers and horns are required to provide an even paging strength where you need it, without being overbearing in some areas. We also handle installation of your speaker system, and integration with the telephone system. We can provide other public address speaker system features such as zoned paging, time shift changes, night ring, feedback eliminators, and more. As with everything we do, our paging installers are knoweldgable and curtious, and will make sure your overhead intercom paging system meets your needs. Sound masking and speech privacy systems, designed and installed by KIT Communications utlilizing componets by Atlas Sound, Valcom, and other industry leading manufactuers, will boost productivity by limiting distractions, and increase the privacy of sensitive conversations in the workplace. Copyright 2017, KIT Network Cabling Inc. also DBA KIT Communications: KIT is a communications contractor serving Central and Eastern PA and NJ. Capabilities include: Network Cabling Installation, Structured Cabling Contractor in PA, Cat 5 Wiring, Cat 6 wiring, Certified Cat5e Network Cable Installation, Ethernet Wiring, Security Camera Systems, Video Surveillance Installer, Digital CCTV Systems, fiber optic wiring, Hosted PBX Phone Systems, Hosted VoIP Phone, Business Phone Systems, WiFi Network Systems, Wireless Network Installs, WLAN, IP Camera Systems, Overhead intercom paging and public address, Door Secuity, and Door access control systems.